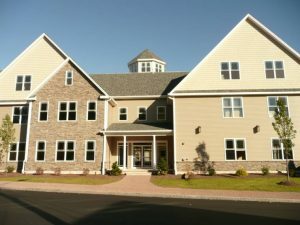 This three (3) story Class A office space of 21,000 square feet is located only 2.2 miles from I-84 in the heart of the down town area and in the midst of Southington’s bustling business community. This state-of-the-art office building has an attractive exterior facade with a professional and welcoming front and rear entry. The building offers suites ranging from 1,700 to 2,350 square feet with continuous space of approximately 8,000 square feet. 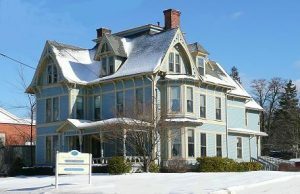 Located adjacent to the Southington Town Green, this historic (circa1879) grand old residence (once known as the Wilcox Mansion), was converted from a boarded up apartment building to a 6,500 square foot modern office building. This rehabilitated Gothic styled Victorian clearly highlights the town center with its statuesque frame. The sweeping front porch and dramatic roof lines emphasizes its architectural integrity. The home was restored to its grandeur with meticulous detail and presently houses the offices of our construction company and several law firms. 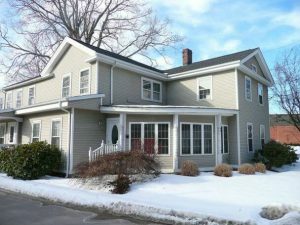 Located on busy Route 10 in the heart of Southington, this former residence (circa 1880) was completely rehabilitated and converted to modern office space without sacrificing the building’s architectural charm. The interior space was further expanded by redesigning the curved front porch to an attractive and quaint conference room. It is presently the main office of Realty Three Inc. a real estate firm. The site also houses a rehabilitated and fully occupied two (2) family home with a bank of garages and convenient parking area to the rear of the main office building.